A few weeks ago, Ed Roberts was going on and on about this new awesome product that he wanted me to try. He had recently checked out the non-alcoholic Hop Soda made for Proper Beverages in Grand Rapids, Michigan. Since I have no idea where the soda aisle exists in Total Wine, Ed even bought me an individual 8.4 oz (250 mL) can, the way this product is packaged. 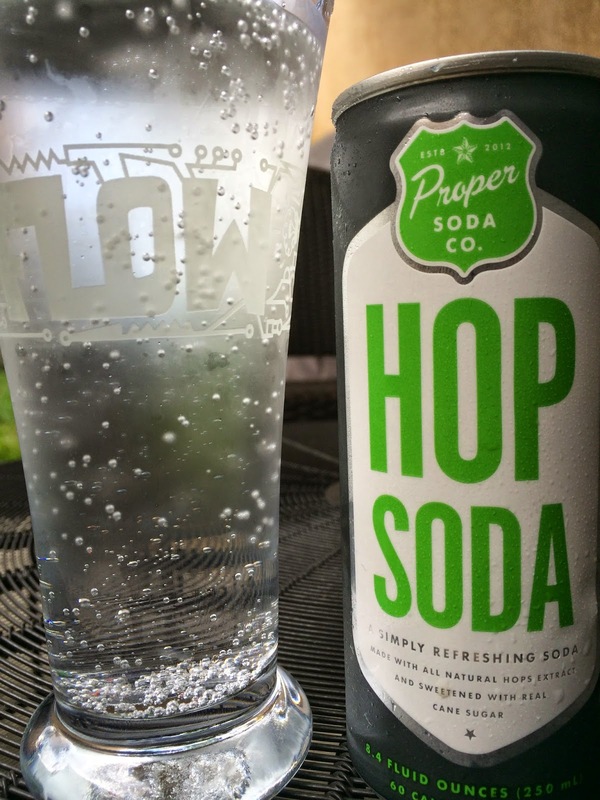 The tall skinny can prominently shows the name Hop Soda in lime green colors. If you click, the link above, you'll see that changes in their newest Hibiscus soda product. So I am guessing this is a lemon-lime type soda. 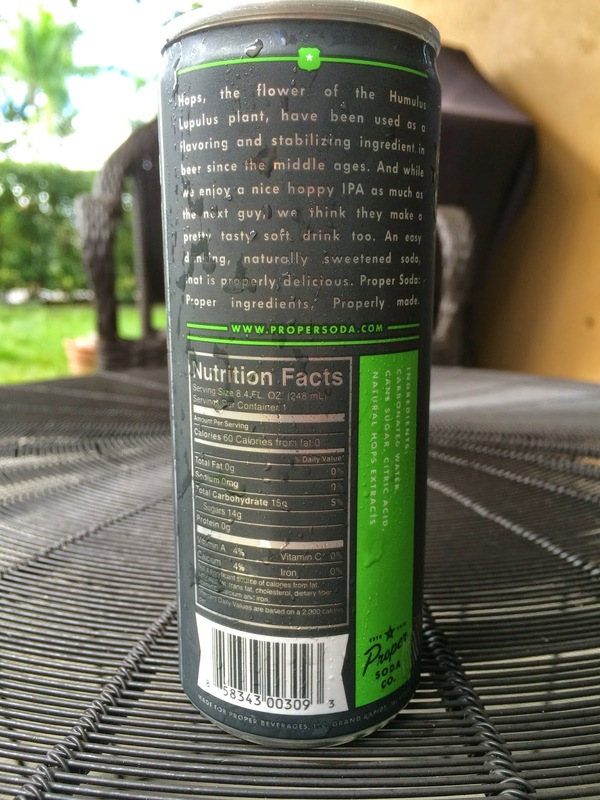 On the back of the can, a story about hops and how they are not just for IPAs. Oh, and the nutritional information. Wow! Only 60 calories for the can. I pulled out my Magic Hat "Small Pour" glass for the occasion. Spritzy carbonation bubbles kept exploding in my face as I smelled an aroma of hops, lemon and sugar. Sweet sugar flavors start first along with a little lemon and lime. There are some hops but they are not bitter in the slightest, so the soda remains on the sweet side throughout. The flavor was fine but very faint and boring. Overall, the sweetness for me needed to be toned down a lot. In addition, I felt this was very much under-carbonated, and I missed that carbonation bite I usually get when drinking a soda. Both of those left me begging for some refreshment. I wanted to love this but am very disappointed. It's cheap so try it and let me know who was right, Ed or me!